What is the significance of a uniform? For community agents like police, firefighters or paramedics, a uniform is not a frivolously designed garment: It’s a visually distinct identifier that signifies a social purpose. After all, having an easily recognizable signifier allows citizens to determine the community agent’s purpose. For example, it lets people to know to clear a path for paramedics during a medical emergency, or it can provide comfort and security, such as police presence at public events. That visual identification extends to correctional officers as well, who are dedicated to upholding the principles of public safety. In Canada, there has been an established penitentiary presence since 1835, but the first reference to a uniform for penitentiary officers is around 186. There have been a number of redesigns over the decades, but interestingly, it wasn’t until 1890 that they became standardized. 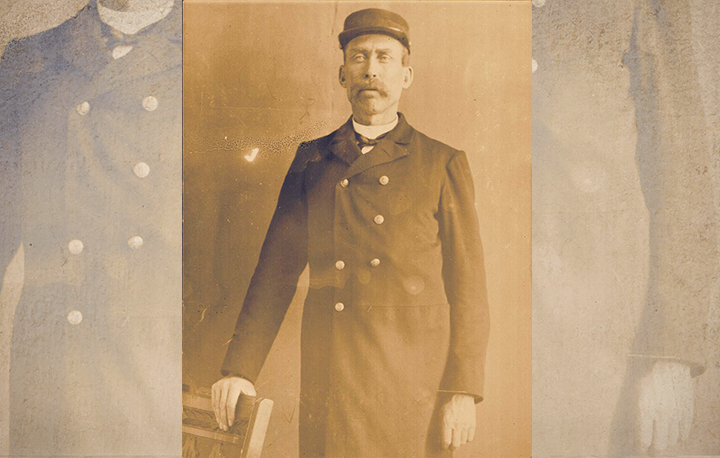 Before then, variations existed across Canada, until Manitoba Penitentiary Warden Samuel Lawrence Bedson undertook a re-design, leading to a standardization across Canada’s penitentiaries.